The past two weeks have been quite action-packed. Between spending time with my family around Thanksgiving, holiday prepping, wrapping up all 2018 client work, and other everyday activities, time has flown by. Here’s a peek into some of my favorite highlights as 2018 comes to a close. I hope you’re making the most of this last month! We spent Thanksgiving at my aunt’s home in NJ followed by some quality time with my parents over this past week. I am grateful for so many heartwarming moments with those I love. My parents’ visit was super short this time, they live in India, but we tried to make the best of it. We all were fed and pampered more than we could handle! I was looking for something festive to wear for our family Thanksgiving this year. Since we are pretty much home/cooking all day, I never put any effort into dressing up. I’ve been wearing jeans & a glorified version of a tee since as far back as I can remember. While cleaning up my closet a few weeks ago, I discovered this jacquard silk top from my cousin’s wedding in India 16 years ago. I had only worn it twice before! I tried it on and was pleasantly surprised that it still fit! 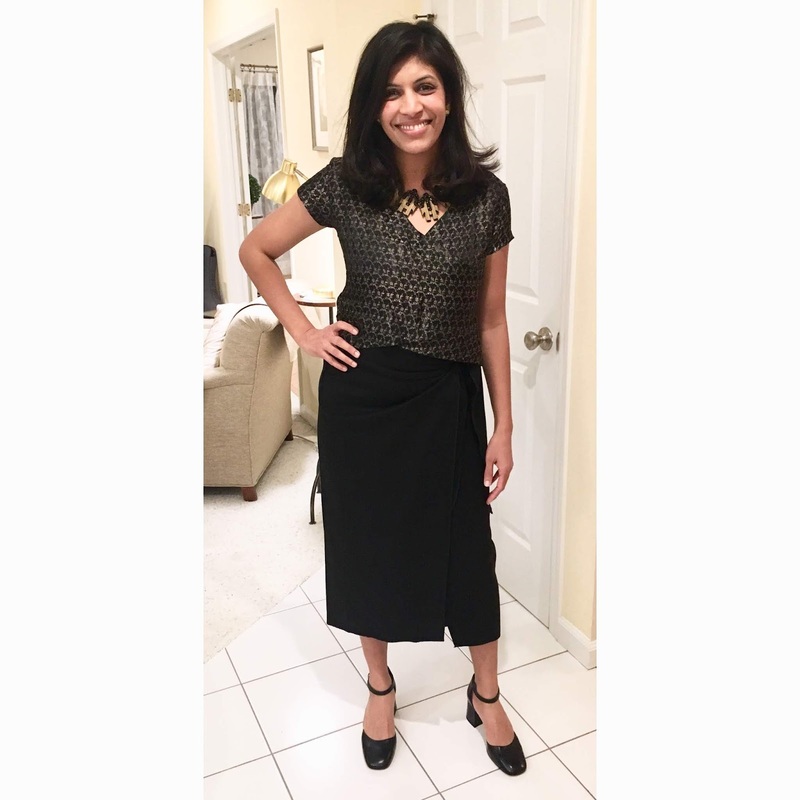 I mixed and matched it with a wool skirt, threw on a statement necklace, and voila! an outfit was created. Repurposing an old ethnic top and breaking the ‘outfit’ mold this year made me happy. We attended an art sale at The School of the Museum of Fine Arts (SMFA) at Tufts University a couple weeks ago. The sale featured thousands of works from emerging and established artists. 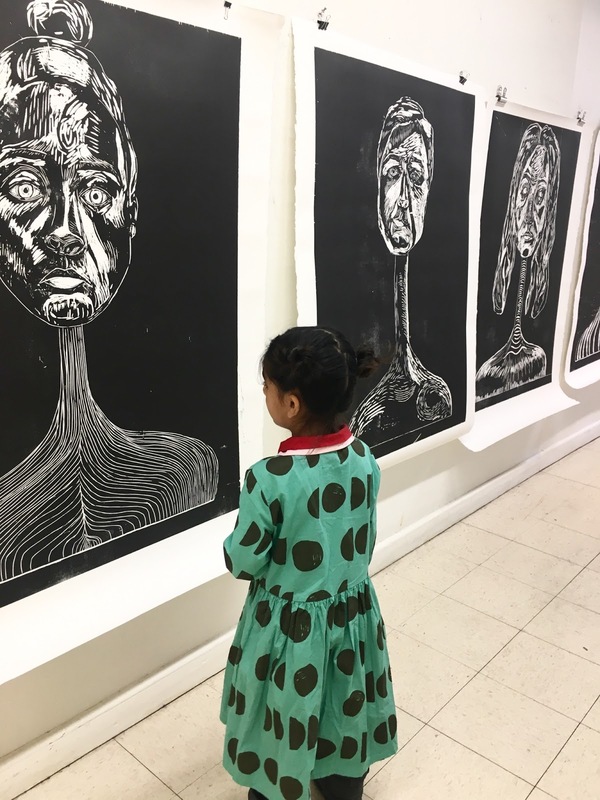 It was such a fun opportunity to discover and browse the work of exceptionally talented SMFA students, alumni, faculty, and affiliated artists. The girls weren’t keen on going, and basically refused to get out of the car. They eventually walked in (after some coaxing), participated with enthusiasm and my older later said “Mama, I didn’t want to come at first but it wasn’t that bad. It was actually kind of fun!” Success. I’m glad I happened upon this annual event for the first time, and discovered another resource to expand my art collection in the future. As you know, from outfits to home decor, I love sharing what makes something unique and floors are no exception. I love this picture because of the fall color palette and colorblock boots combo. Small details that put a smile on my face! Check out @ihavethisthingwithfloors if you don’t already follow them! 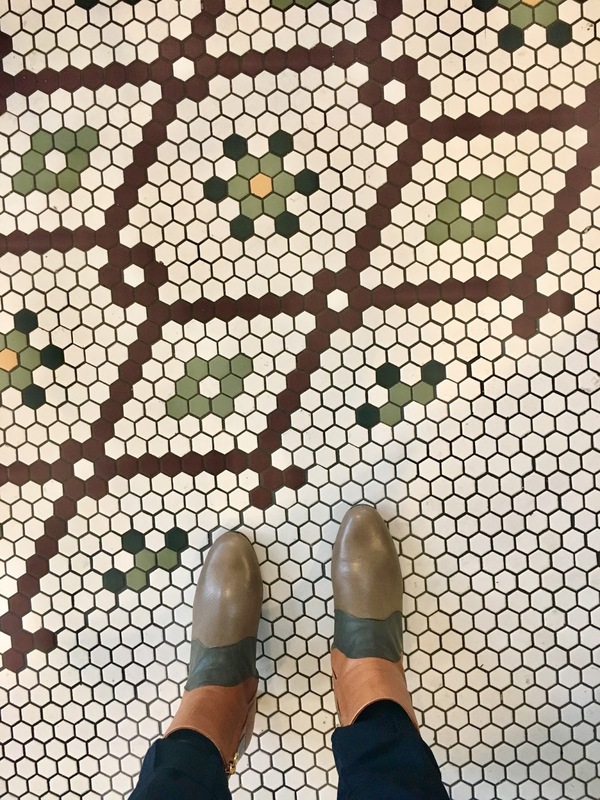 (when feet meet nice floors take a selfeet). Last but not least, running a Book Club with my girls and hanging out and reading with their friends and friends’ moms makes me happy. For December’s Book Club, we read poems. Shel Silverstein, A.A. Milne, miscellaneous authors in Sing a Song of Seasons, and some by our very own little poets. It was such a fun evening! 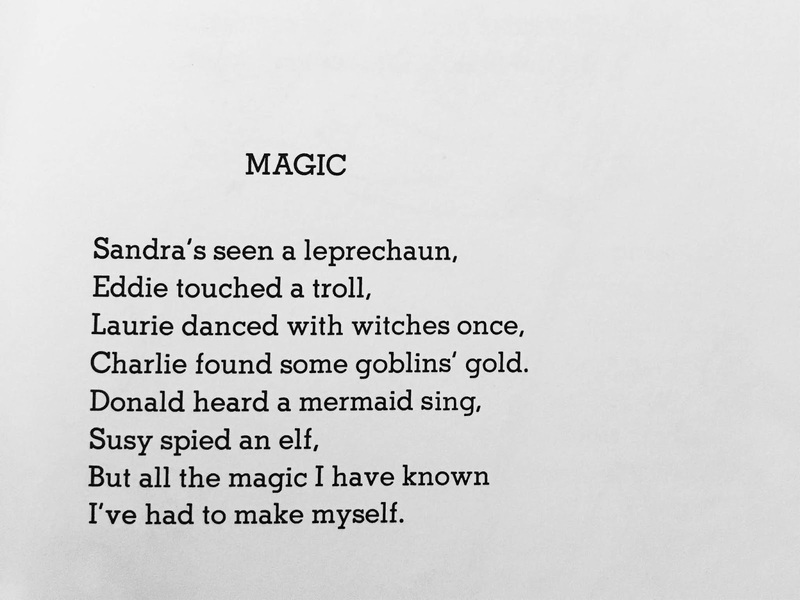 Since the magical holiday season has already begun, I’ll leave you with one of my favorite poems by Shel Silverstein -- Magic. Hope you enjoy it! 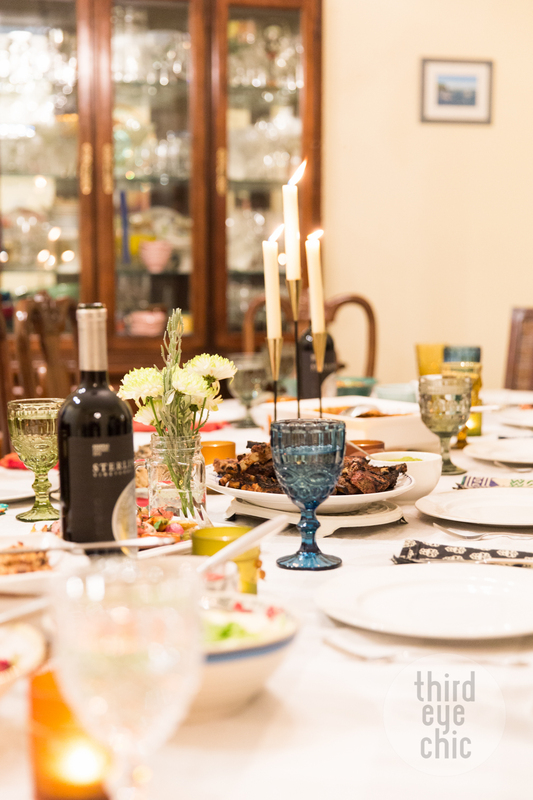 What makes you the happiest around the holidays?